I like your jacket and outfit! And if I didn't copy other people's clothing what would I wear every day?! *LOL* Copy the jacket it sounds really kewl. I love your jacket. If I saw you walking down the street, I would do a double-take and comment to whomever I was with, "I love that girl's jacket! ", and would fantasize about how I could copy it! Really cute, and perfect for Fall! Since your style is pretty much my style, I like that jacket & that outfit! I'm a big fan of classic lines & simple shapes. 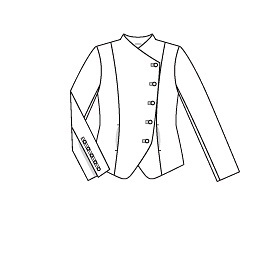 That jacket is waaaaay cooler than the line drawing! Awesome!!! How is it that you always seem to pick something out of the magazines that I never really considered sewing and now have to add to my ever-growing must sew projects list? I dismissed this jacket on first viewing of the mag but now I really want to make one. I need a casual black jacket so that I can stop wearing my denim jacket *all* the time and this pattern looks like it would be perfect. 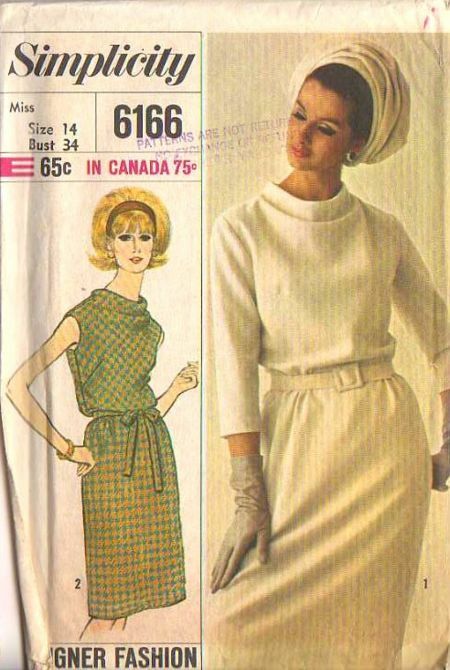 Oh, and I love, love, love the fabric you've used. If you haven't received your September issue yet, then there is a pattern in it to make a skirt that looks identical to the one you are wearing the photo! The wonderful colours of this jacket would dress up a pair of black pants to perfection. I like it a lot! Can't wait to see the dress in the stripey fabric. I agree with ReadyThreadSew - you do it and suddenly the project looks like a keeper! LOL! 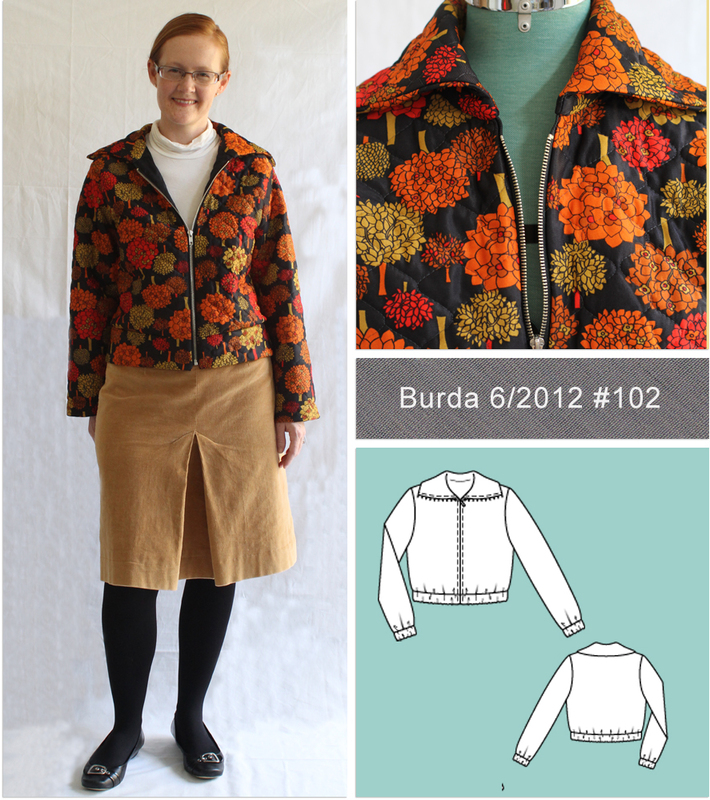 I just started getting the Burda magazine, I might have to give myself the same challenge as you so I don't just collect magazines for nothing! Curious, what do you use to trace patterns? Beautiful jacket, and the colours are great on you! Good job! I absolutely love your new bomber jacket, in that great autumn colour print! It sets off your hair so wonderfully, you look great. Oh by the way it's still 31 August here in Brussels :) on the other side of the dateline. What a great cozy jacket! I like the bright colors, but you know my taste is not to be trusted with bright prints. The colours in your jacket complement you very nicely. Love the retro-cool print which is busy enough to hide baby slobber! Leaving out the elastic was a great call. Well done. I LOVE this jacket. The fabric isn't one that I would necessarily be drawn to, but it looks fabulous made up. You have a great eye for design. I'm also impressed that you are keeping up your Burda Challenge. The skirt you made from the last issue was gorgeous, too.